Every novel begins with a single word. Every experience is made up of seconds. Every decision follows after a whole bunch of littler choices. But because life is often at least a bit ironic, it’s the little things we always let slip through the cracks. It’s the small, daily joys that we take most for granted. We don’t take a second to think about how amazing it is that we breathe. We also tend not to think about the foundations of a building while we are walking through it. (Unless you’re an engineer like my sister and no structure will ever look the same to you again. If that is the case, I sympathise.) The big question is: Why do we miss out? We Millennials have been labelled an idealistic generation. We have big dreams. We want big changes. We make big plans. Those are all fantastic and I think that “idealistic” is a label to be proud of. But (I know you saw that coming) our pursuit of grandiose changes to the world we live in can turn into a waiting game. What do I mean by that? I mean that we sometimes run the risk of thinking that change has to be big. That we have to dream big and plan big to make a difference. Then we wait. We wait for the perfect moment, the right circumstances or for someone else to get the ball rolling. We wait. And wait... Well, you get the idea. Our dreams should be larger than life. But we don’t have to wait for the big chances to get started. We can #LiveLit here and now. Everyday. (At this point I have to admit that all size puns in this post are completely intentional. I couldn’t resist.) 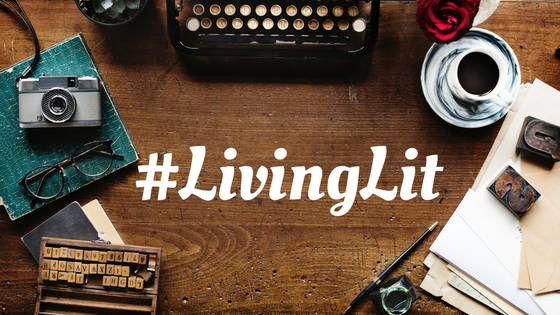 A big part of #LivingLit is about taking a moment or two to really live every little opportunity for joy and wonder and improvement that comes our way. Sometimes that means being surprised by serendipity. Thanking your bus driver. Returning a smile on Monday morning. (Because Monday morning smilers must be special or have access to really good coffee.) It might even mean refilling the printer before it sends out an error message. If you want to change the world? Start with the small stuff. Don’t know exactly where to begin? Look out for those creative types. Artists are great for getting a new perspective on everything from tree bark to shoelaces. They are great at highlighting the things we miss. Georgia Lee Rose of @coffecupoetry fame is one such artist. Her poems (written in the span of 1-5 minutes) pursue art and truth in the little moments. Every poem is an unedited reflection of when, where, and how Georgia is as she writes. An encapsulation of a little moment in time and all the feelings and colours that come with it. 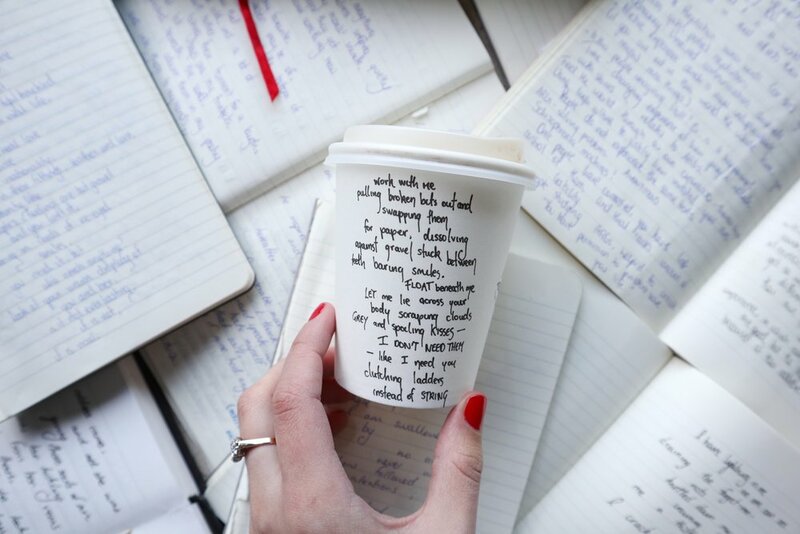 For Georgia, every cup of coffee is a small window into wide thinking. If I went through an entire day noticing all I have or do, what I am thankful for, they would be insurmountable. Instead, I closed my eyes for a moment and let them come through naturally. 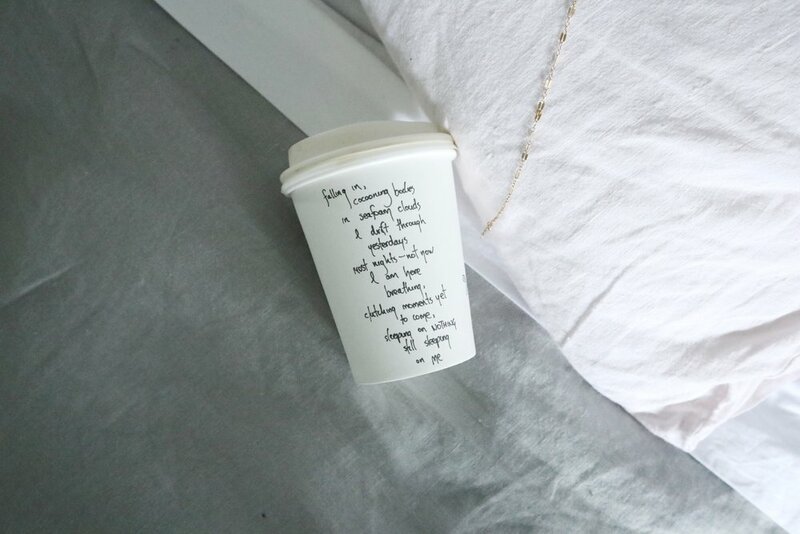 And these little things don’t feel so little at all — clean water, fresh sheets, and an able mind. It isn’t only that I am grateful, but I am dependent on being hydrated, sleeping comfortably, and having mental clarity. I don’t function properly without those three things. Nor do I feel quite like myself. These poems are indicative of what they meant to me, how they make me feel. If everything else is seemingly going wrong, the security of those feelings is a spectacular thing. Practice having an attitude of gratitude. Try to say, “Thank You” a little more often. Join the Thank You NZ launch team and give others reasons to be grateful. Succeed at the first little task of the day. Make your bed. Because according to Bill McRaven starting with the small habits can help us change the world. Enjoyed the poems in this post? 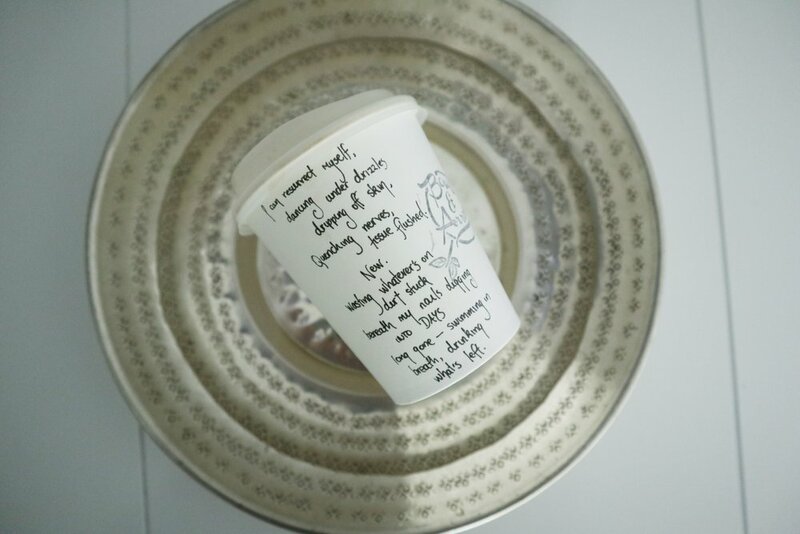 Celebrate Georgia Lee Rose’s little coffee cup poems. Like and follow her on Facebook and Instagram. Read the perspective changing poems published in Mayhem Issue Five including my own small celebration of friendship, Amistad. Are you an all or nothing type? Have a read of CoLiberate’s post on the importance of finding balance between big dreams and little joys. Need a little space to get those creative juices flowing? Check out The Creators. Their collective work space might be just the thing for you.